Firearms/shotguns: has acted in several cases involving the firearm and shotgun laws. These have included appeals to the Crown Court against the revocation of firearm/shotgun licences. Advising a local authority on the prosecution of a registered charity following a fatal fall at work from a mobile scaffold, for breaches of Health and Safety legislation. Represented the Local Authority at the Inquest. Ongoing prosecution. Represented a ‘whistleblower’ accused of misconduct by his member Association. Interpretation of Company Articles and Disciplinary Code. Direct Access. R v Matthews. Defence of a landowner charged with gross negligence manslaughter following the fatal electrocution of a sub-contractor’s employee. The was a multi-handed case involving causation and issues of part delegation of the duty of care. All aspects of Health and Safety and Electricity Regulations involved. Defendant had severe dyslexia and undisclosed PTSD. MCA v Serco Ltd. High profile prosecution of Serco Ltd on behalf of the Maritime and Coastguard Agency for breaches of Merchant Shipping Regulations following the death of a deckhand on the Woolwich Ferry. R v Marsh. Defence of a lorry driver in the Crown Court who had inadvertently failed to properly secure the stabilising arm on a lorry fitted with a hydraulic lifting device. The lorry had defects in its safety design which if fitted would have prevented the accidental extension of the arm whilst the lorry was being driven through bends in the road. The arm swung across the pavement killing a newspaper boy on his rounds. Represented driver at Trial and on Appeal against conviction and sentence. Whilst sitting as a Recorder sentencing a company who had pleaded guilty to offences under Health and Safety legislation following a fatal accident at work. A crane driver employed by the company had extended the jib of his crane attachment to deliver a load. The site for delivery was inherently dangerous because of overhead high voltage electricity cables. The driver had been inadequately trained and the site incompletely risk assessed. The driver was electrocuted during heavy rain when the crane jib made contact with the overhead cables. Further sentencing issues arose because the company had been subsequently sold and was left without any assets with which to pay a financial penalty. Appeal to the Crown Court against the revocation of Firearms and Shotguns certificates. Revocation based on police intelligence only. Issues of disclosure. Fraud: VAT evasion, Government Regional Grants, Leasing, Management of insurance agency, International trade in stolen, cloned 4x4 vehicles from Japan. MTIC: Missing Trader Intra-Community fraud, or Carousel fraud. Instructed by HMRC to lead 3 Juniors in the VAT Tribunal to successfully respond to Appeals involving a total of £30 million. A very large MTIC case involving mobile telephone trading. R v Kayani, Oxford Crown Court. Defence of a drug trafficking confiscation proceeding. A previous confiscation order had been made and satisfied some years before. The prosecution applied to have property assets declared to be 'benefit' in these proceedings which were acquired before the first confiscation order and excluded from that consideration. After successful defence argument, the initial claim for in excess of £1 million was reduced to an order for £150k. R v Ozanne. MTIC. Defence of a large Missing Trader Fraud involving £4 million VAT on the sale of mobile telephones sourced from Guernsey. Michael Vere-Hodge is a hugely experienced senior Silk with a reputation for combining a mastery of the detail with effective cross-examination. Over the years he has appeared in a wide variety of challenging cases acting both for the prosecution and defence. He is also a Silk accredited to undertake Public Access work. Michael is an experience clay pigeon shot who has represented Great Britain as an individual and as a GBR team member on many occasions over 30 years. He has won several International medals across three disciplines and in 2015 he won his first individual World Championship. Has advised on various Sports National Governing Bodies’ compliance with their Selection Criteria for Great Britain Teams and Olympic nominations. Also advisory work on their governance including disciplinary action to be taken following allegations of bad behaviour by members of GBR teams abroad. 2016 Represented a ‘whistleblower’ accused of misconduct by his member Association. Interpretation of Company Articles, Disciplinary Code and Human Rights Act. Direct Access. Advisory work on behalf of an athlete who wished to appeal against their non-selection for the 2012 Olympic Games. Appeal successful. 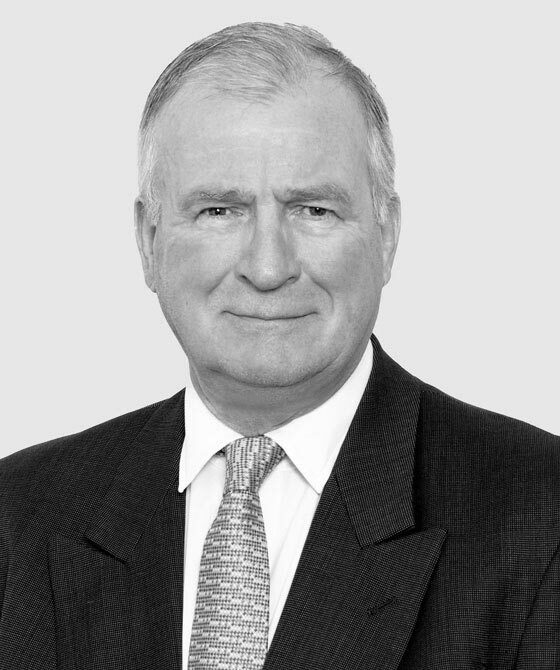 Michael Vere-Hodge QC is qualified to accept instructions directly from members of the public and professional clients under the Direct Public Access scheme.